The Troggs (Reg Presley, Chris Britton, Pete Staples, Ronnie Bond) have a true garage rock name and the reputation to be one of the first punk rock band ever. They had it all 10 years before the punk revolution: the stupid name begining with "the", raw, basic and lubricious rock'n'roll songs but were still dressed like your average British Invasion pop band with stupid Joan Of Arc style haircuts. 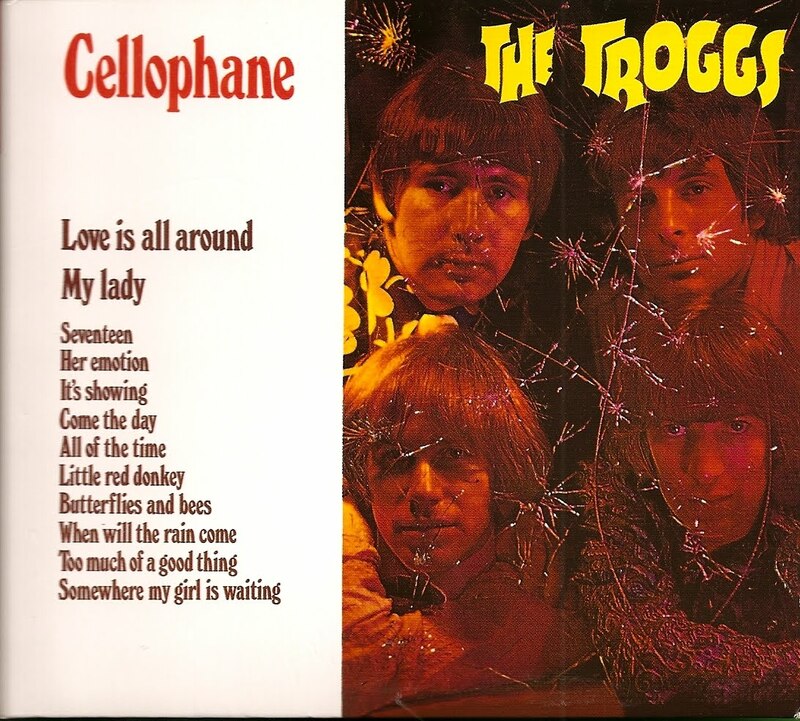 Cellophane had the reputation to be record hard to find but not that good, even if one of The Troggs best song, Love Is All Around, is included. Influenced by the psychedelic sound of their London peers, The Troggs didn't really convinced psych specialists with Cellophane even if I find personnaly the album really good. On the reedition I posted, you'll find interesting bonus tracks: 8 single only sides and 2 singles released by Ronnie Bond and Reg Presley while trying to go solo.